Our first screening at Impact Hub Philly was a success! Thanks to all who came out to share work and create community! Mike Dennis of REELBLACK, Jos Duncan of GRIOT WORKS, Suzanne Landau and Diane Walsh of PWIFT, Amazing Impact Hubber Tatiana Bacchus and many others were in attendance. Our next screening is Wednesday December 17th at 6pm, Impact Hub Philly, 1227 N. 4th Street between Girard Avenue and Thompson Street. We will present the Philadelphia premiere of THE DISH & THE SPOON starring Greta Gerwig. The director Alison Bagnall will be there to field your questions about how she made this indie film gem. From the 2012 New York Times review [spoilers] by Stephen Holden: “The intriguing title of Alison Bagnall’s … indie gem, “The Dish & the Spoon,” comes from the Mother Goose nursery rhyme “Hey! Diddle Diddle,” with its cow jumping over the moon and dish running away with a spoon. That fanciful imagery is a nifty corollary to the evanescent relationship of a distraught young woman and a vagabond waif who meet by chance in this film and wander like lost children through a Delaware resort town during the off-season. Beautifully photographed, “The Dish & the Spoon” is awash in images of rain-soaked streets and gray wintry skies. In a recurrent visual motif that deepens the atmosphere of wistful regret, flocks of Canada geese are shown taking flight. The odd couple, Rose (Greta Gerwig), who has fled her cheating husband in rage and despair, and a scrawny, baby-faced Briton identified only as Boy (Olly Alexander), make a plaintively appealing pair. She discovers her tousled-haired sidekick, who resembles the 19-year-old Bob Dylan, asleep in a lighthouse. He initially tells her he is a “rent boy,” then takes it back and says he traveled to America to be with a girl who dumped him once he arrived. He relates another story about his mother’s suicide when he was 14. Is any of it true? You wonder. Rose’s description of Thanksgiving and the relationship of the Pilgrims to the Indians is probably a first for a fiction feature: “We gave them smallpox on purpose, and then we continued to sort of systematically kill them, but what we celebrate is the meal that we had before any of that happened, when everything was good.” [Obviously the reviewer has not seen the 2003 film PIECES OF APRIL, the perfect Thanksgiving movie where April does describe the holiday in similar terms to a Chinese American family.] The film follows the odd couple as make their way through various incidents, alternating between poignant and funny as they journey to self discovery. Shot with the Canon 7D by Mark Schwartzbard and edited with precision by Darrin Navarro, this film shows what can be achieved on a small budget with talented actors, talented crew and a director who is a master at her craft. Alison Bagnall is a writer director of narrative films. 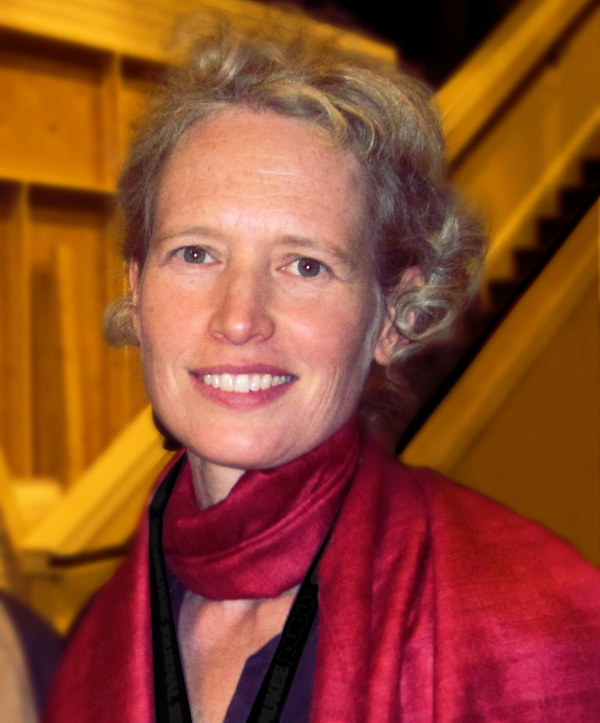 Her credits include THE DISH AND THE SPOON (2011), starring Greta Gerwig, and PIGGIE (2003). Additional credits include BUFFALO 66 (1998) (co-writer). Currently, Alison is working on two projects. FUNNY BUNNY (in post-production) stars Kentucker Audley, Olly Alexander, and Joslyn Jensen. Funny bunny tells the story of an anti-childhood obesity crusader and a maternally neglected trustfunder who attempt to connect with a troubled and reclusive factory-farming activist. Alison is writing the screenplay for a feature film, BROWN EYES BLUE EYES for Fairweather Pictures, based on the true story of a teacher from Iowa who in 1968 created a seemingly benign experiment that would allow her all white third graders to experience the psychological effects of racism. Alison is based in Philadelphia. WAVE Cinema is a meeting place for film and media enthusiasts to experience work rarely seen in local venues by filmmakers and media artists from the PA-DE-NJ region and beyond. Each screening will feature audience Q&A with the makers. Works selected will have major creative input by women. We will meet every 3rd Wednesday of each month for the next 6 months. Events are FREE and open to the public. Our next film is THE DISH & THE SPOON starring Greta Gerwig and directed by Alison Bagnall. Audience Q&A with director Alison Bagnall to follow the film. Mark your calendar 6pm to 8:00pm Wednesday December 17th, 2014. 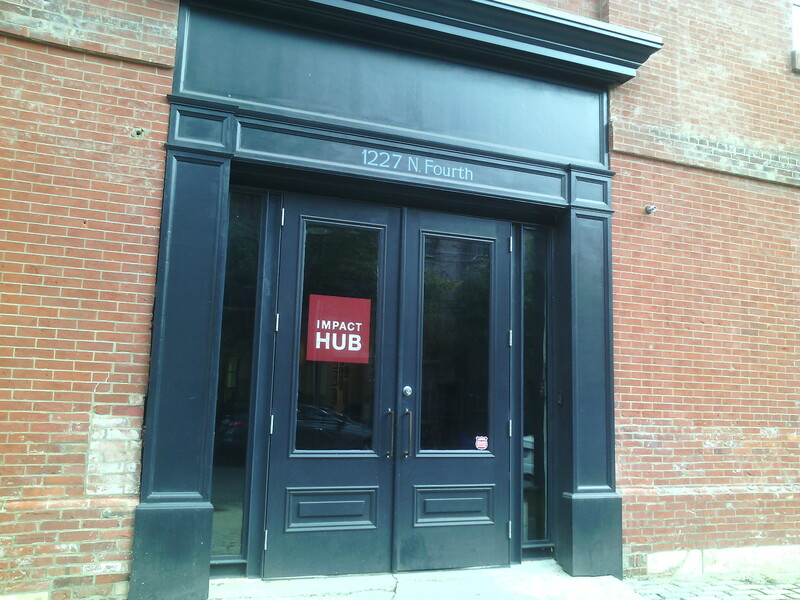 Impact Hub Philadelphia is at 1227 N. 4th Street, Philadelphia, PA 19122. This entry was tagged 2014, @ImpactHubPhilly, Alison Bagnall, Cinema, december, Delaware, Greta Gerwig, Griot Works, hipcinema, holiday, impact hub, indie film, Mike Dennis, Nadine Patterson, Philadelphia, philly, PWFIT, WAVE, wift, women directors, women in film. Bookmark the permalink.